Startups.co.uk has announced the 10 early-stage businesses who have won a money-can’t-buy prize of one hour’s free mentoring from successful entrepreneurs and industry experts, such as Pip Murray of Pip & Nut, and former Crussh CEO; Chris Fung. The winners were chosen from attendees of the inaugural Be Your Own Boss (BYOB) event; a practical workshop covering everything from goal-setting to branding which took place in August. The event was ran as part of our #BeYourOwnBoss2018 campaign with AXA and .com, powered by Verisign, to help turn business ideas into reality. Attendees to the BYOB event were treated to a fireside chat with John Stapleton, co-founder of New Covent Garden Soup Co and Little Dish, who discussed his inspiring entrepreneurial journey and how he scaled both companies to multi-million revenues. The event was fronted by industry experts, including Andrea Pattico, chief people officer at MVF and former head of talent & development at Moneysupermarket and head of people at ASOS, Mike Stevenson, founder of Thinktastic, and Ben Mott, managing director and co-founder of Future Kings, who shared their expertise and advice. With the BYOB mentors soon to be publicly announced, these 10 budding entrepreneurs will shortly be able to get tailored one-on-one advice to help them tackle their start-up challenges and build successful businesses. “Gareth Howell, executive managing director, AXA Insurance: “Variety is the spice of this year’s Be Your Own Boss campaign, with competition winners proving that there is no such thing as an average start-up. While some are based on technological inventions, others defy categorisation as they merge different disciplines and skills. “What unites them is excitement and innovation. There’s also a shared challenge: how do you focus on the core talent or skill that inspired your business, when you’re also expected to be a jack-of-all-trades, mastering accountancy, taxation, marketing and points of law too? Want to be your own boss? 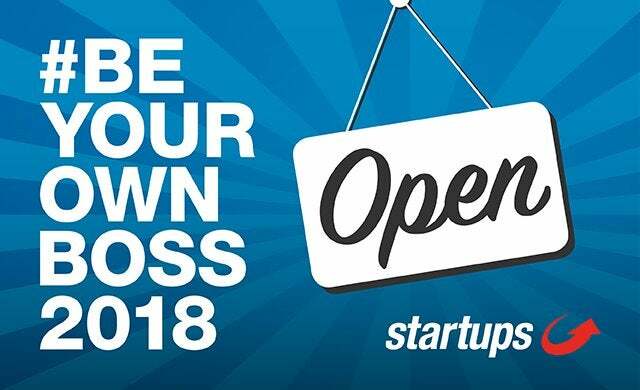 View our dedicated BYOB advice and guides here and follow the hashtag #BeYourOwnBoss2018 on social media.